Citing Southern charm and culinary superstars, Forbes Travel Guide named Raleigh, N.C., one of their "Top 12 Destinations of 2017"! 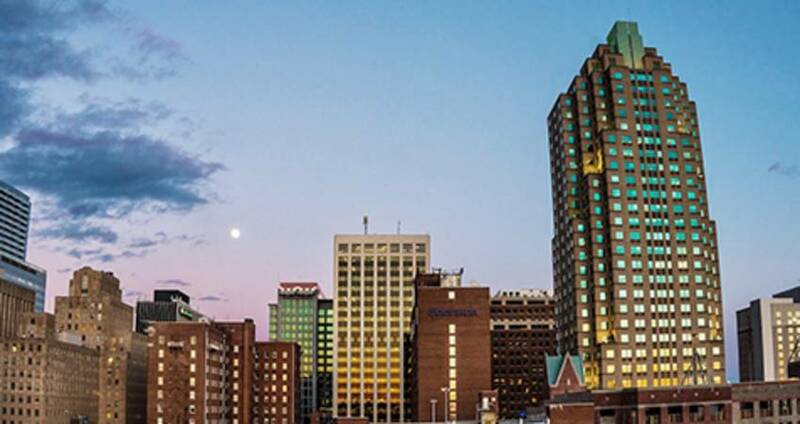 Alongside other global destinations such as Berlin, Lisbon and Montreal, Raleigh is one of six mainland-U.S. cities on the list. "We&apos;ve screamed the charms of N.C.&apos;s capital city before," says Forbes, and with a handful of recent culinary accolades and highly-anticipated restaurants on the way, the publication is ready to "back up our fawning with a bit of flavor." You can read the full piece here. The Raleigh Marriott Crabtree Valley (pictured in header) has unveiled an extensive $38-million transformation, updating style and refreshing nearly every area of the property, including new, experience-enhancing amenities such as fully-renovated and modernized guest rooms, enticing public spaces, a redesigned, modern lobby, a new outdoor pool and a well-equipped fitness center. Additionally, a new 10,000-square-foot ballroom was added, doubling meeting space to more than 21,000 square feet. In total, the property has 21 meeting rooms to go along with 379 renovated guest rooms. Passengers flooded through RDU International Airport at a record pace in 2016. In all, 11,049,143 people traveled through the airport, a 10.4-percent increase over 2015 and breaking the previous record set in 2000. Every airline at RDU recorded growth during 2016, according to the airport. You can read the full press release here. The Greater Raleigh Convention and Visitors Bureau (GRCVB) has launched the meetingsRaleigh Twitter account, with tips and information for meeting planners who have their eyes on Raleigh, N.C., as a destination for meetings or conventions. Filled with helpful information on everything from how to work with a CVB, to where attendees can get great meals in the area, the account aims to make the planning process easier by answering some of the most common questions GRCVB staff is asked, as well as engage with planners and meetings attendees who may be looking for quick advice. You can follow the account here. Delta Air Lines has announced a new, nonstop flight between Nashville and RDU International Airport. The new service will begin June 12 of this year and be offered twice daily. The flights will join Southwest Airlines&apos; existing daily nonstop service between Nashville and RDU. Delta will also roll out nonstop service between Austin and Seattle and RDU in March and June, respectively. Allegiant Air began nonstop service between New Orleans and RDU this month. New Orleans and Austin are RDU&apos;s 46th and 47th nonstop destinations.